IT services are indispensable for the seamless functioning of various organizations. However, the capital investment that it requires along with the need for physical infrastructure makes many companies shy away from the same. Cloud Computing is just the ideal model of availing IT services in a cost effective and burden free manner. It is an arrangement through which IT services, products, platforms, business processes and even infrastructure could be provided and sourced through web based tools and applications. As you might have already gauged, such solutions present higher configurability, adaptability and scalability as they require less upfront investment and ongoing operational expenditure. You can, hence, source, scale and deliver IT solutions without any limitations of physical location, labor or capital. We, at Flexiware Solutions, offer cloud computing as one of our core services. We sternly believe that this technology is where the future lies and our belief echoes in the efforts that we put towards the same along with our team which works passionately towards constantly improving our offering in the department. With all these four models, we ensure that the plinth of quality is retained at the highest level. Therefore, our clients manage to add a tinge of mobility and collaboration to their operations by availing our services that are highly streamlined and trusted. Our focus on elevating our offerings’ ROI works as another compelling benefit that our clients receive. Our expertise lies in providing service delivery at the platform level and software level, i.e. PaaS (Platform as a Service) and SaaS (Software as a Service). The same is integrated with IaaS (Infrastructure as a Service) and BPaaS (Business Process as a Service) for better results. Get Services of Cloud Computing. 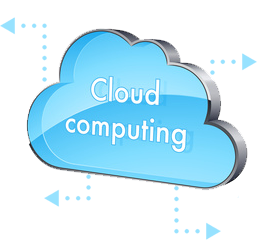 Avail Cost effective services of Cloud Computing, Cloud Computing services in India. We have already spent a few years researching about cloud computing and offering its various facets to our clients. This way we have learnt the intricacies of the same which helps us offer improved performance project after project. We can assist you in migrating your existing application to public clouds like Amazon, Microsoft and Google. We always emphasize on improving the ROI of our offerings. This way, you earn more than what you invest.